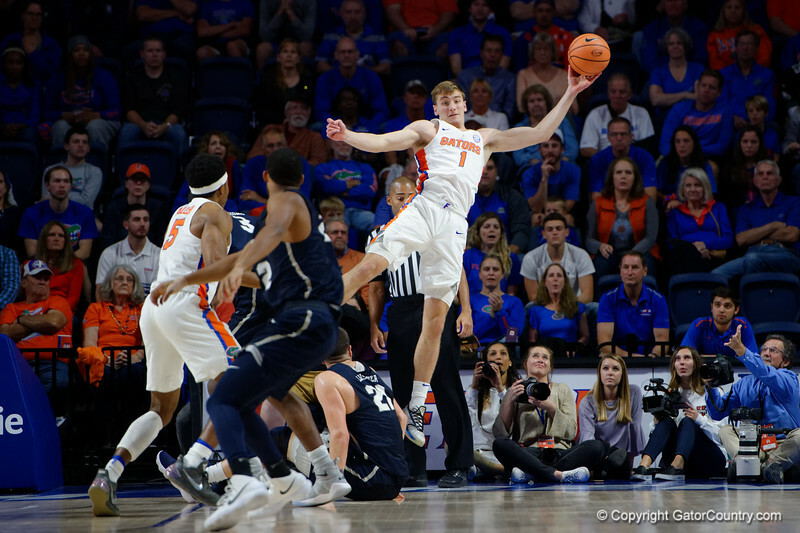 University of Florida Gators forward Chase Johnson saves the ball from going out of bounds during the first half as the Gators defeat the New Hampshire Wildcats 70-63 at Exactech Arena at the Stephen C. O'Connell Center in Gainesville, Florida. November 19th, 2017. Gator Country photo by David Bowie.